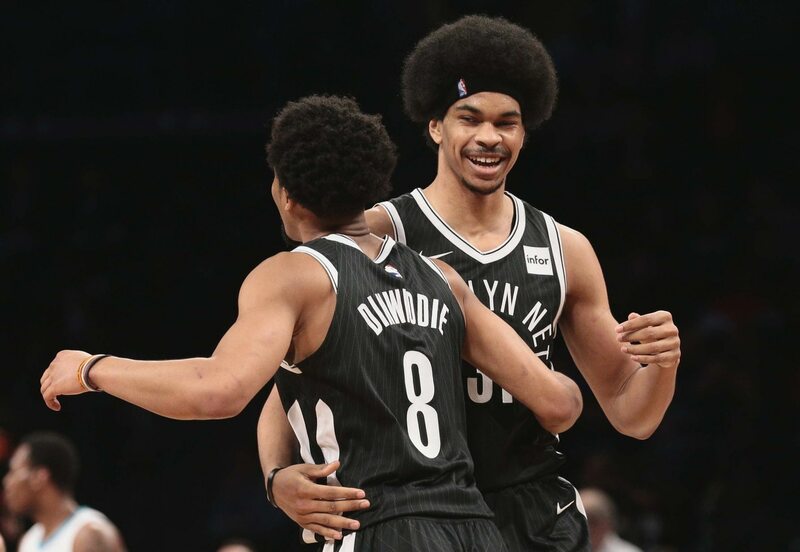 It’s not very often you get to witness a defensive player getting the better of Giannis Antetokounmpo, but that’s exactly what Jarrett Allen did Saturday. In the first quarter of Saturday’s game between the Brooklyn Nets and Milwaukee Bucks, Allen savagely rejected Antetokounmpo’s dunk attempt. This isn’t the first time we’ve seen Allen come up huge against a premier offensive force this year, and it won’t be the last. He’s really coming on strong as an elite interior defender thanks to plays like this one. We’ll say this for Giannis, though. He didn’t stay down very long.